Because it's Easter, I find myself in the possession of a Cadbury chocolate product. What do I find on the back? "Cadbury, ellipse device, dairy milk, the glass and a half device and THE COLOUR PURPLE are Cadbury Limited trademarks used under licence in New Zealand by Cadbury Confectionery Ltd."
All our purple are belong to Cadbury Confectionery Ltd.! In regards to Cadbury trademarking the color purple, four years ago I was working as a boom operator on an independent film and noticed that the boom manufacturer, Mr.LongArm, had trademarked the color yellow. I thought it was funny enough to document. blog post (tangential), and photo. Check my compatriots: been there, done that. German Telecom also thinks they own the letter "T". Link one, Link two. In addition to Cadbury trademarking the colour purple and Mr. LongArm trademarking the colour yellow, my mum used to work for an ad agency that held an account with McDonalds. They have specific shades of red and yellow that are trademarked. I've also heard tell that Mattel owns green (G.I. Joe) and pink (Barbie). Bill Bradford says, "Don't forget UPS Brown, which is Pantone color 0607298." The trademarked colors only apply to uses of those colors in certain marketing. Trademarks, unlike other intellectual property, are violated by using them in a devious way to confuse consumers within an industry. I can use UPS brown in all my hamburger billboards. I can't use it in my delivery-company billboards. I also can't use the UPS logo on my hamburger billboards to imply that UPS sells, for some reason, my hamburgers. Basically, using Cadbury purple to sell deck chairs won't imply that Cadbury is associated with them. The judge would find that I'm not using Cadbury's trademarked color in a way that dilutes Cadbury's brand, confuses their customers, or implies false connections. The U.S. Supreme Court ruled about 10 years ago that colors may be trademarks here. Green-gold drycleaning press pads were the issue in that case: Qualitex v. Jacobson Products. Tiffany Blue is probably the most famous trademarked color - but just b/c Tiffany trademarked it - they only own that blue in situations where it could be confused with their products. You could paint your house that color, for example, without having a problem. Also, a ton of companies have probably trademarked the color yellow - but they only get it for that product. Stanley could trademark yellow screwdrivers, caterpillar could trademark yellow bulldozers, and 'Mr. 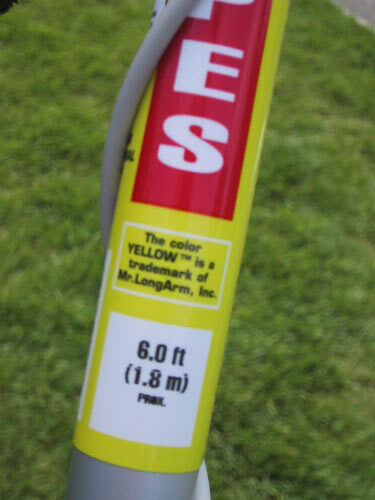 Longarm' has apparently trademarked yellow booms. Given the wide range of products Tiffany sells, and the uniqueness of their shade of blue, Tiffany probably owns that blue for just about any kind of box that jewelry or other gift could come in. All they have to say is, your honor, if your spouse gave you a box that color blue, would you assume it came from Tiffany & Co.? There are actually quite a few "nontraditional trademarks" (background, and more background). Some examples I can think of: pink insulation (Owens-Corning), NBC's "ding ding ding" sound (Reg. No. 523,616), and plumeria-scented sewing thread (Reg. No. 1,639,128). Here's a post from my blog regarding trademark rights and "trademarking:" Link. By the way, "trademark" is not a verb. One can "patent" an invention, and thereby acquire certain exclusive rights in the invention. But one can't "trademark" anything. Trademark rights in the USA are acquired by use. One may choose to register the mark with the USPTO, and it's a good idea to do so, but that is optional. There's no such thing as "trademarking." One can register a mark, but the trademark rights have already been created through use. [Copyrights work the same way. As soon as one creates a work, he or she owns the copyright in the work. Registration is optional, but again a good idea, and indeed necessary if the copyright is to be enforced against infringers]. Companies often claim trademark rights in words, colors , shapes, etc., but that does not means those claims would hold up if tested. One often sees the "TM" or "SM" symbol used next to an alleged mark, but those symbols mean nothing more than that the user claims to own a trademark. The symbol does't even mean that an application to register has been filed. Anyone can put TM or SM on anything they want. Use of the R-in-a-circle symbol, however, means that the mark has been federally registered (and thus has passed the muster of the USPTO examination process).